Looking for a safe, smart way to invest? 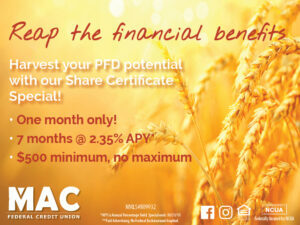 You can reap more financial rewards with this PFD Share Certificate Special. Call us, or come into a branch to open your Share Certificate today!